The San Jose Blog: Oakridge is Going Country! 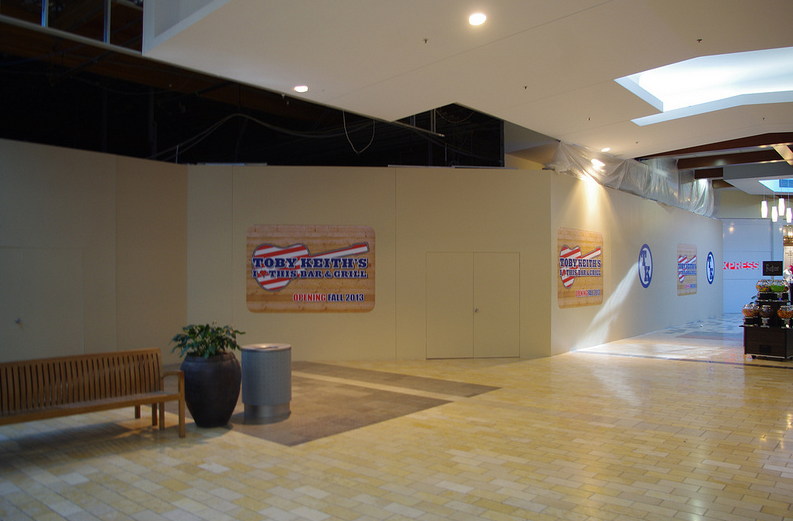 Well, it looks like a huge, HUGE, country-themed restaurant will be coming to Oakridge Mall. 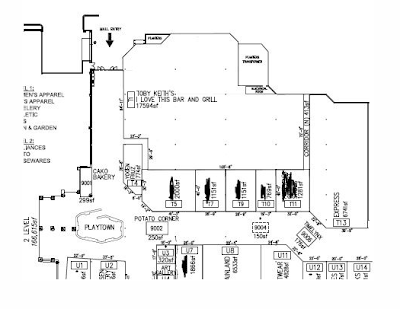 "Toby Keith's I Love This Bar and Grill" is going to take up a massive 17,594 SQFT, and I would be surprised if there wasn't a commensurate amount of outdoor seating to go along with it. This is a venue known for hosting country music events (hope our events are like the photo below), large guitar-shaped bars, and of course Southern food. The new restaurant replaces at least five stores: Mainland Skate, Radio Shack, Merkerro Fashions, PacSun, and Cutegirl.com. I wonder if they are planning to go the Santana Row route and increase the ratio of restaurants to retail. There also appears to be a rumor that the Apple Store will be moving to a newer larger space soon. This would be great news since the only Apple Store in San Jose-proper is also the smallest one I have ever seen (the Valley Fair store is technically in Santa Clara). apple at valley fair is still san jose. The permits for all the stores in sj are sj. Idk why and would say technically santa clara. When it should be the other way around. I would be happy to be wrong. Valley Fair does lie in two cities, Everything from the mid point of the Gap store to Macy's Mens is Santa Clara and Everything from Nordstrom to Macy's Women's is San Jose. This was the result of the 1986 combining of the original Valley Fair (San Jose) and Stevens Creek Plaza (Santa Clara). I'm not too sure how the stores pick which city to use, technically both the Apple Store and Bath & Body Works are in San Jose, but like Apple, Bath and Body considers themselves Santa Clara as well. It's certainly an odd one the way stores identify themselves. Does anyone know when the bar will open? I was hoping to take my dad for his birthday in 2 weeks.